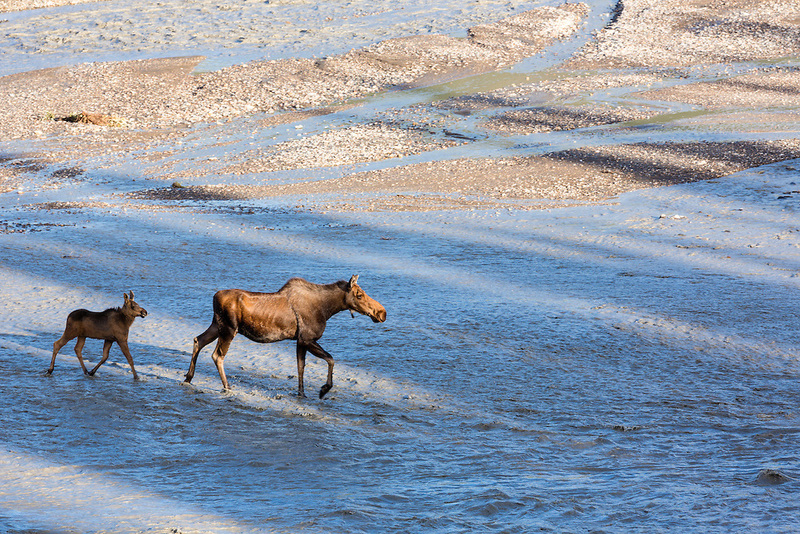 Cow moose (Alces alces) and calf ford Teklanika River in Denali National Park in Southcentral Alaska. Summer. Morning.